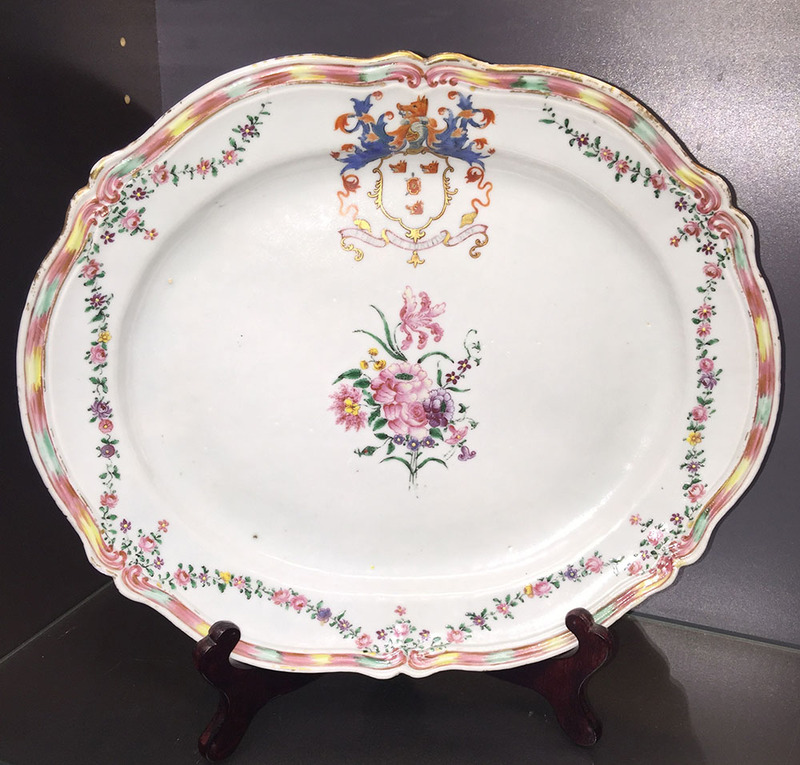 Qianlong Period Chinese export armorial platter. 13″ diameter. Possible professional restoration at some point but invisible to the eye.